Hawaii Five-0 Reboot Is The Season’s Best New Procedural! Hawaii Five-0 [CBS, Mondays, 10/9C] features characters whose names are familiar, and the setting that comes with the title, but it is not your father’s/grandfather’s Hawaii Five-0. It is a fast-paced, well written, fresh take on cop shows that has energy to burn and charisma to spare. TELEVISION: The CW Basks in Moonlight! Fan of cancelled CBS series Moonlight can rejoice. The CW has picked up the rights to series. Repeats of the cult favorite drama will air this summer on the network, paired with encore episodes of CW’s first year hit, The Vampire Diaries, beginning June 3. TELEVISION: Hawaii Five-O Gets Its Garrett! In a matter of a couple of days, CBS’s Hawaii Five-O reboot has cast two of its biggest roles. 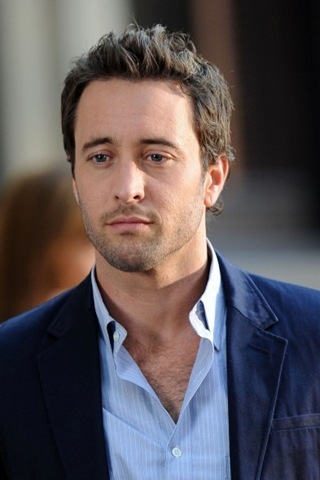 Yesterday it was announced that Lost’s Jin, Daniel Dae Kim had been cast as Detective Chin Ho Kelly and today, former Moonlight star Alex O’Loughlin was confirmed to star as Steve Garrett – following the trail blazed by the late Jack Lord in the sixties and seventies – the head of the Hawaii State Police. 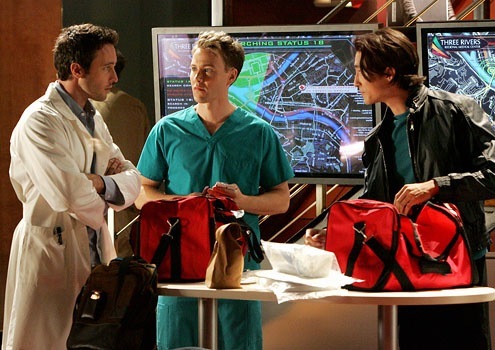 The 5-0 reboot was created by the ubiquitous writing team of Alex Kurtzman and Roberto Orci [Fringe] and Peter Lenkov [CSI: NY] and is O’Loughlin’s third CBS headliner following cult favorite Moonlight and the atrocious Three Rivers. TELEVISION REVIEW: Three Rivers – Great Cast; Terrible Show! Three Rivers does get your attention quickly enough – with a hyperspeed montage that suggests CSI, or some other forensics-based cop show, rather than a medical series. And we get O’Loughlin’s Dr. Andy Yablonski almost immediately after we meet this week’s cases. That he’s in the ER instead of surgery [he’s allegedly the best heart transplant surgeon around] isn’t really that big a deal – except for the fact that it would probably never happen. He also delivers a baby via C-section. He’s Superdoc!